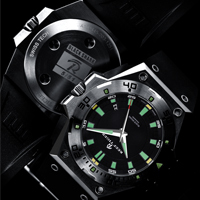 In 1982, first diver wristwatches of Reef Tiger is born under the name of “black shark”, since then with the constant technological innovation and improving designs, performance of Reef Tiger diver watches has gotten a continuous improvement, as always being a symbol of courage and power, black shark wristwatches have been passed down to use until nowadays. 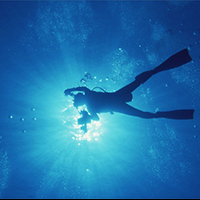 Through rigorous water resistant testings, strict requirement in performance, Reef Tiger divers watch have efficiently overcome kinds of problems may occur under deep water. 2014 new published 100 meter water resistant Reef Tiger “black shark” well combined unique sports style and high performance technology, fitted with stainless steel case and magnesium alloy case back going with a rubber strap, offering two styles of black and white dial for selection. As a sport-typed diver watch, black shark wristwatch feature a strong sense of sport, by using hexagonal case design to stick out the fashionable design and shape. Black index on stainless steel bezel is simple clear, given up using standard numeral marker but to adopt large scale of luminous coating so to make the wearer can easily read the time under water. 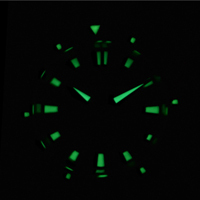 Black sharp series use Super-LumiNova as material to build the luminous dot capable to last 10 hours long successively, regardless of the hands, index or dial all are dealt with special treatments, particular shining in darkness, once a glance, the wearer is able to easily read the time. Either swing your arms or operate the instrument, both require flexible wrist movement, wristwatch has to be snugly fitted on wrist, although stainless steel bracelet is characterized by powerful durability and high corrosion resistance, chemical composition of seawater still could easily cause corrosion, so black shark series particularly arm with great capability of water-resistance and corrosion resistance rubber strap that is imported from Thailand, not just having great water-resistant and corrosion-resistant performance, but more endowed with high abradability. Considering these unique features of diver watches, black shark wristwatch employ with extension strap to go with the watch, that can be straightly put onto the diver suit offering a more comfortable wearing experience and more convenient to read time. 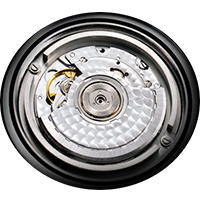 To test a diver watch whether comes with a good performance or not, one most essential function is water resistance. Black shark power by water resistance up to 100 meters, wearer can freely explore his under seawater adventure by wearing this watch. For a watch, crown plays a really important role for it by connecting outside and movement, meanwhile, also the part being most fragile part might be wet by water, once a slight careless may lead into the watch got wet, in a more optimistic situation, only the accuracy is affected, if worse, the whole watch may get rusty. Reef Tiger diver watch apply unique screw in crown design that only is used by diver watch, just like a screw, be tighten to deep inside of the case, so a sealed cabin is formed to isolate water outside, water resistance of the watch is very superb. 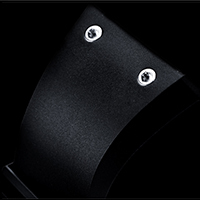 Besides, black shark wristwatch brings to extra-thicker and deeper pattern on the screw-in crown, ensure more smooth operation with less antiskid and handy to operate on basis of great water resistant function. Apart from water resistant function, another crucial function is timing underwater. Due to limit by the restricted oxygen, countdown warning is vital for diver, more strictly speaking, it matters the life of the diver, Reef Tiger rotating bezel can provide diver most accurate countdown time, so to ensure they can fully engaged with their work to accomplish their tasks. 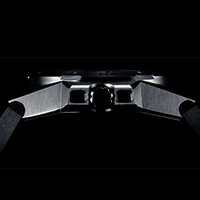 Each black shark watch is endowed with Reef Tiger ultra-thin R-ST1812 automatic movement, runs rather preciously. New generation of Reef Tiger diver watch carrying a case back made of magnesium alloy having same hardness and intensity as steel, but furthermore functioning better stress and water resistance, most importantly, it’s much lighter than steel in terms of weight, so this seemingly masculine watch is perfect to wear, won’t cause additional stress to wrist.